Our new online pharmacy is now operational. You can pick up prescription drugs, specialty foods, and other supplies that Dr. Crowley recommends directly from our store! The store is extremely easy to use and prices are competitive with other “online” pharmacy services. Clients will have the ability to send a request to Dr. Crowley for approval to purchase products as needed. 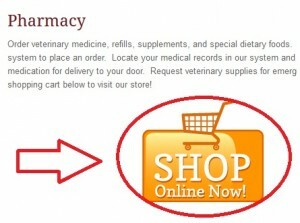 If your animal is on a long-term prescription, make sure to select the auto-ship option for free shipping to your door! 1) Click on the “Pharmacy” link in the navigation bar of the MLVS website. 2) Click on the shopping cart to enter the pharmacy store. 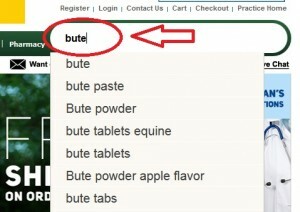 3) Enter the product you are looking for in the search bar in the upper-right hand corner of the pharmacy store. You can also log in to see any prescriptions or recommendations that Dr. Crowley has pre-approved for you. Contact us if you have any issues with the online pharmacy system and we will be happy to guide you through the process.